Ethnic Toraja attend the parish church. Pastor says it has “proper papers” and saw the mayor visit. 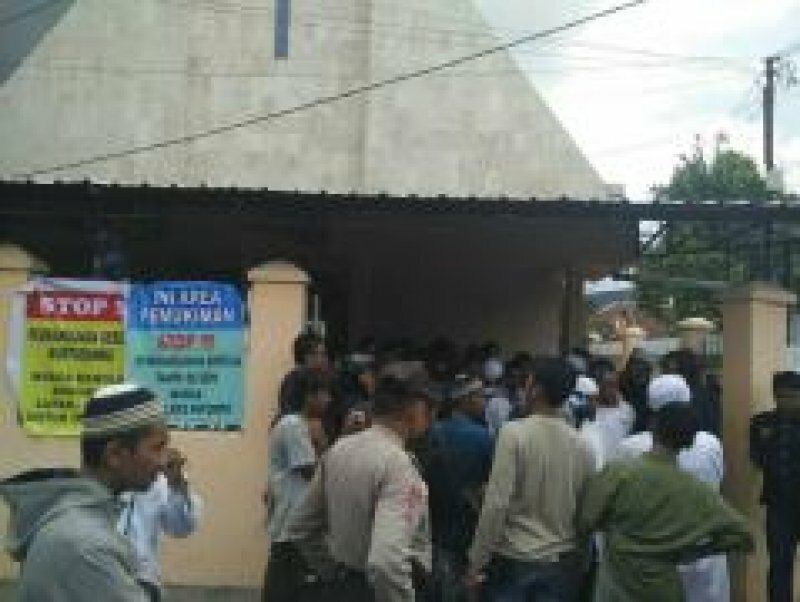 Jakarta (AsiaNews) – Scores of Islamic fundamentalists and local residents protested today in front of a Protestant church in Makassar (South Sulawesi) that caters to ethnic Toraja, who are mostly Christian (Protestant and Catholic). 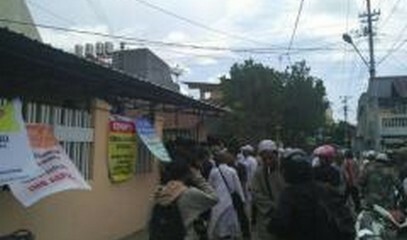 Islamic radicals from the Islamic Defenders Front (FPI) demonstrated against the renewal of the church’s building permit (IMB) granted to the Bunturannu congregation that runs the church. The FPI said that its protest was sparked by complaints from local residents who accuse church leaders of lacking the proper papers to renew the permit. "The presence of the Church in this area does not have the approval of most of the Muslim population,” said local FPI spokesman Aramna Rahman. “Residents said they never gave permission for the renewal of the project. " Rev Daur Sanpe Rurun quickly responded saying that Makassar authorities issued the papers in due form. Hamzah Hamid, a local politician, criticised radical Muslims for causing the incident, noting that the FPI has no right to organise demonstrations against church construction. "Their actions stain the good reputation of Islam,” he said. 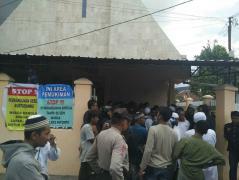 This is the second violent incident in a few days involving ethnic Toraja Christians. On 12 September, unknown assailants gunned down a Catholic teacher and catechist in Puncak Jaya district, Papua province. Christians and Muslims have already clashed in South Sulawesi. 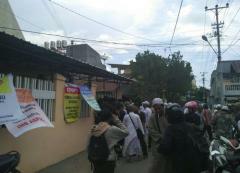 On 7 September, a group of Islamic radicals disrupted Mass at a parish in Surakarta (Central Java).